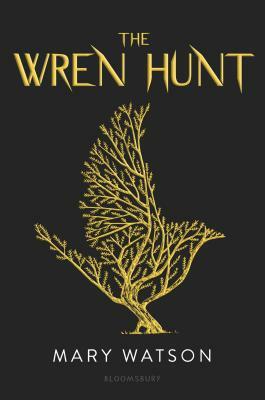 Teens meet to discuss Mary Watson's debut novel The Wren Hunt. T.A.B. will be reading advanced copies provided by the publisher. If you are interested in reading the book beforehand and joining in our discussion on October 20, please contact our T.A.B. coordinator Leah with your request. Limited copies available. Every Christmas, Wren is chased through the woods near her isolated Irish village by her family's enemies--the Judges--and there's nothing that she or her grandfather can do to stop it. Once Wren's people, the Augurs, controlled an ancient, powerful magic. But now that power lies with the Judges, who are set on destroying the Augurs for good. In a desperate bid to save her family, Wren takes a dangerous undercover assignment as an intern amidst those who want her dead. But as the web of lies, deceit, and betrayal thickens around her, she finds herself hurtling towards a truth that threatens to consume her and reveal who she really is. Not only has she come to the attention of powerful Judge Cassa Harkness, but she is also falling dangerously in love with the one person she shouldn't . . .